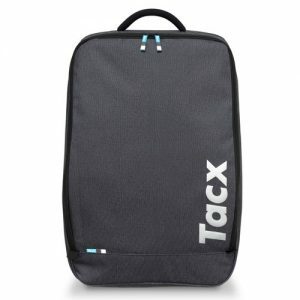 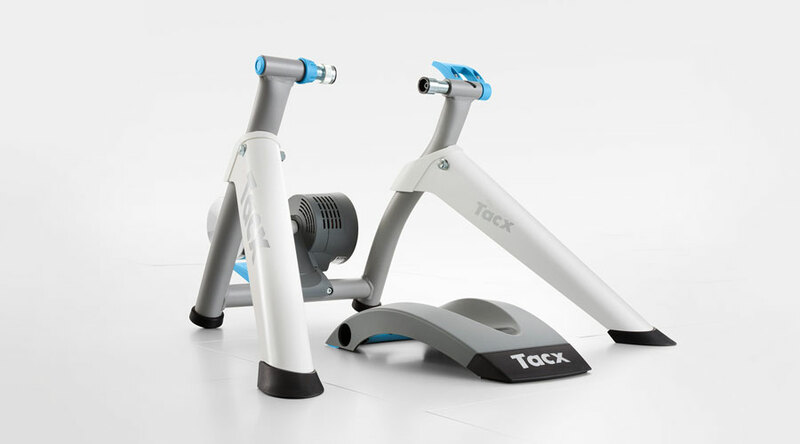 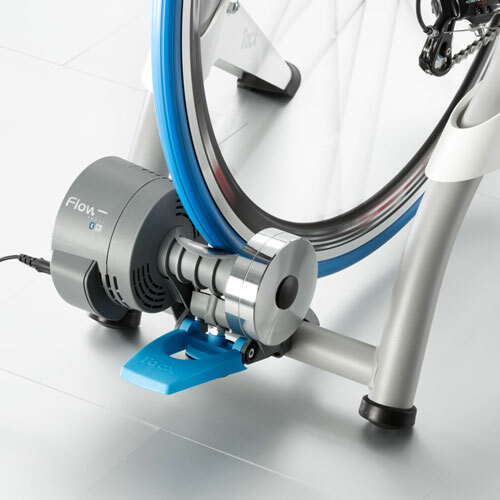 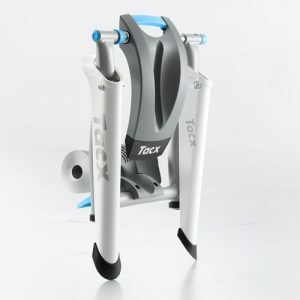 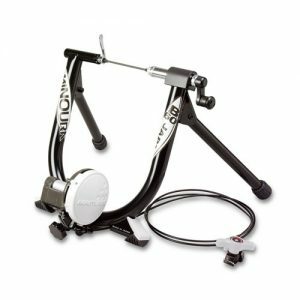 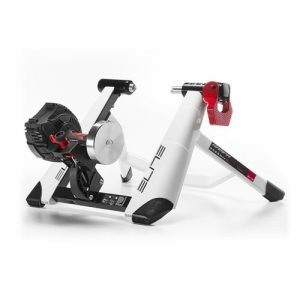 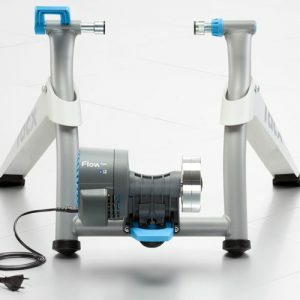 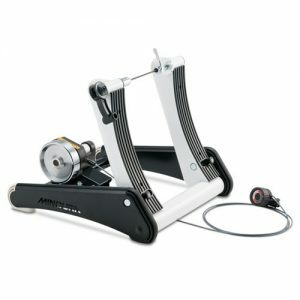 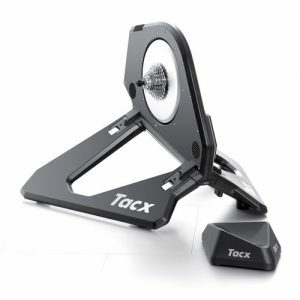 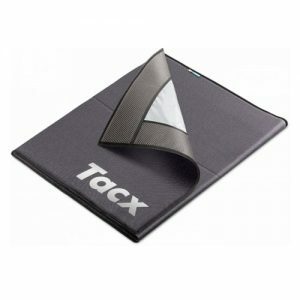 The Tacx Flow Smart is an interactive Smart trainer with an electro brake. 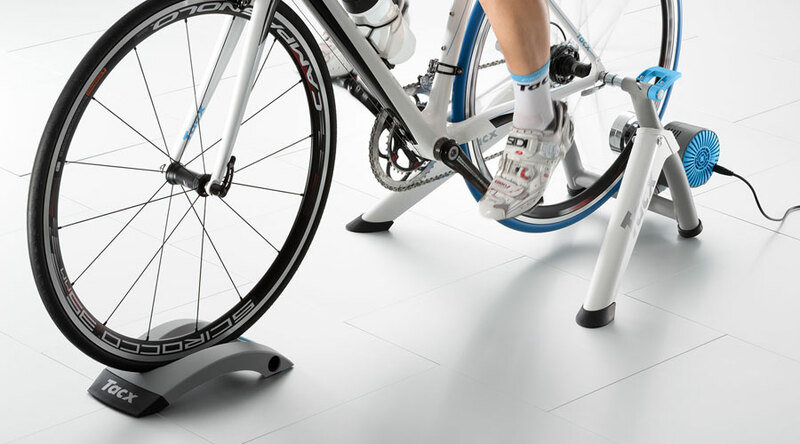 It offers intensive training sessions with a wide range of possibilities thanks to its open communication protocol. 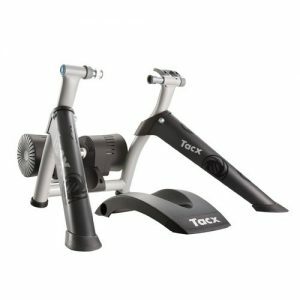 The electro brake makes this trainer highly accessible and ideal for keeping in tip-top condition during the bad weather season. 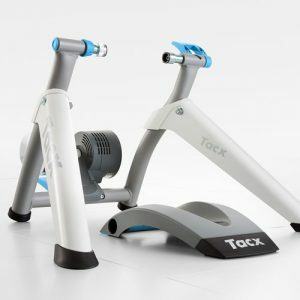 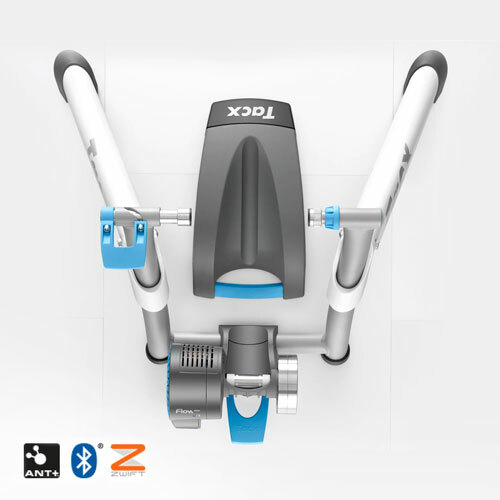 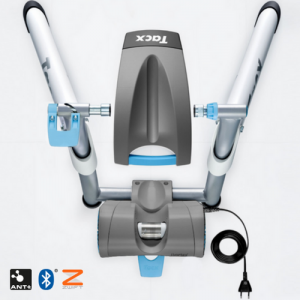 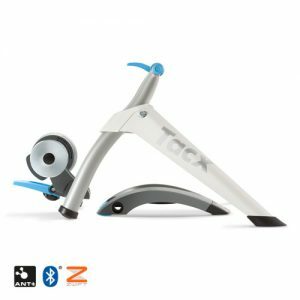 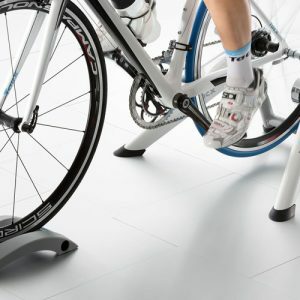 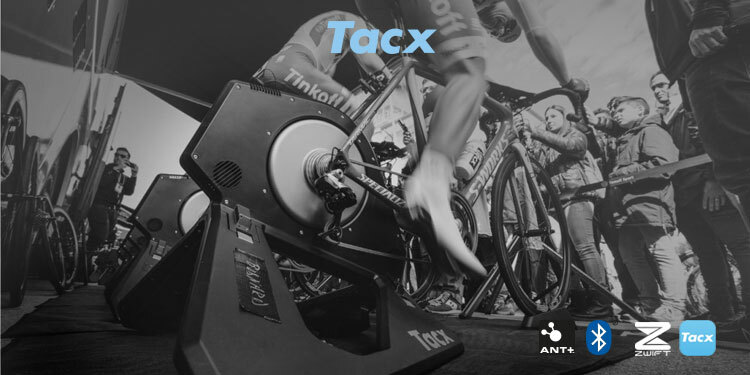 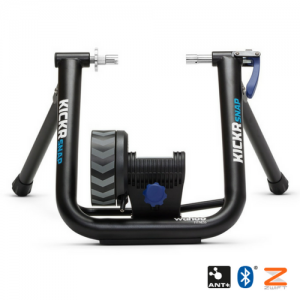 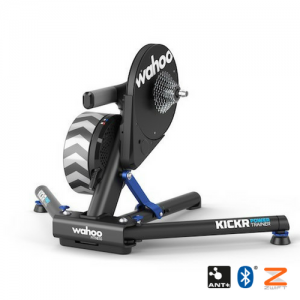 This trainer is connected wirelessly to smartphones and tablets and knows the ANT+ FE-C protocol, enabling you to train with Tacx apps as well as third-party apps like Zwift and TrainerRoad. 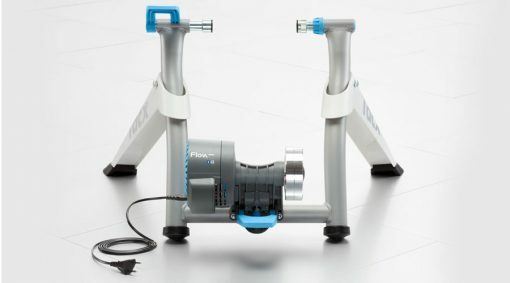 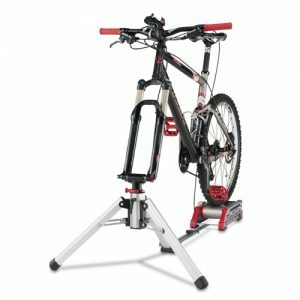 You can also train stand-aloneL if you do not connect the trainer, it will simulate a flat road. 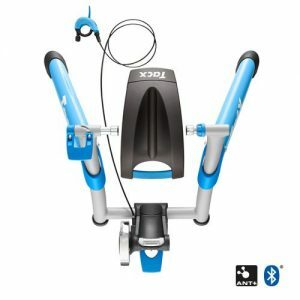 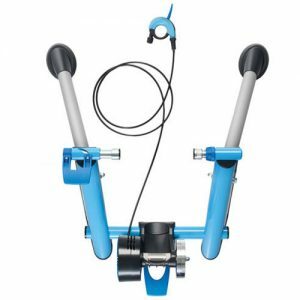 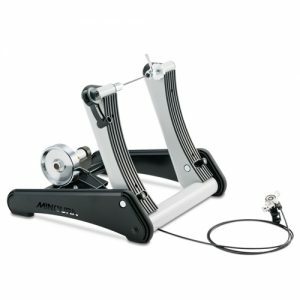 The Skyliner is a front wheel support that raises the front wheel for a natural cycling position and increased stability. 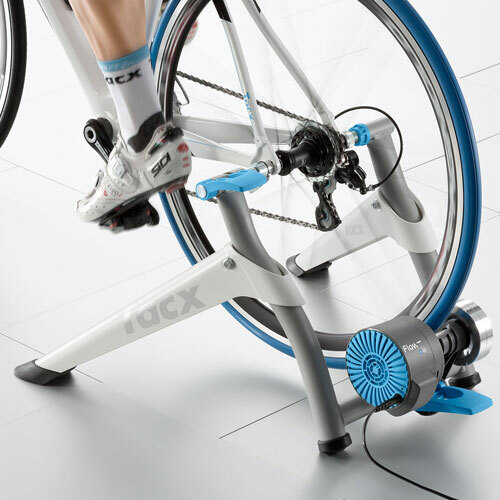 It also serves as handle to carry the trainer. 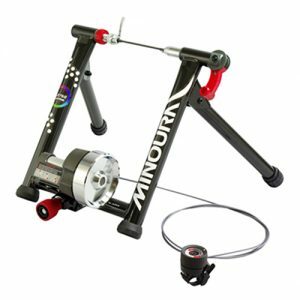 The bike is fixed in the trainer easilty by two simple clicks (rear wheel & resistance unit click). The roll that places the resistance on your rear wheel is made from two materials. 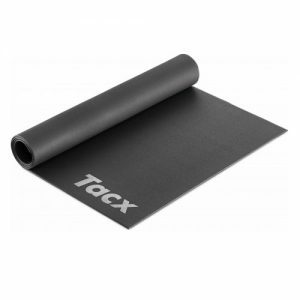 Hardened steel sleeve with a soft core of elastogel. 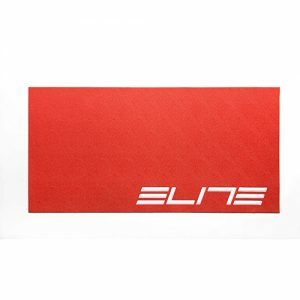 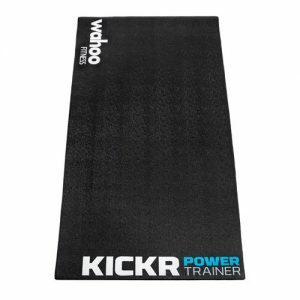 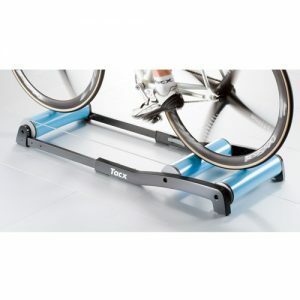 The steel sleeve prevents wear of trainer, while the elastogel absorbs vibrations to reduce noice.